Mars Petcare UK marketing director Tom Lindley gives Marketing a snapshot of modern pet marketing - from riding the crest of the LOL cat wave to partnering with WWF to double the earth's tiger population. Ours is a nation of pet lovers. But with pets getting increasingly fat thanks to too much food and not enough exercise, how does a pet food manufacturer like Mars convince owners to buy more? For a cat and dog food giant like Mars Petcare, which owns Whiskas, Pedigree, Cesar and Sheba, striking the balance between developing new pet treats and helping owners keep their pets in shape is important. According to research conducted by Pedigree, almost half of dogs are overweight. Head of marketing Tom Lindley says pet obesity is an issue that Mars is trying to help tackle, though much of its NPD has come from functional treats like Dentastix. He admits that with fat pets on the rise, the upward trajectory of weight could be "perceived as a barrier" but insists what's really important is coupling a balanced diet with regular exercise. 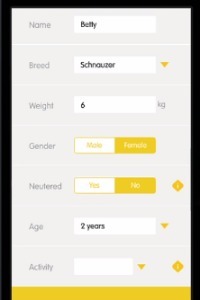 Earlier this year, Mars Petcare developed a new personalised "dog advisor" app to help owners track pets' calorific intake and exercise and help consumers understand how they should be feeding their pets. 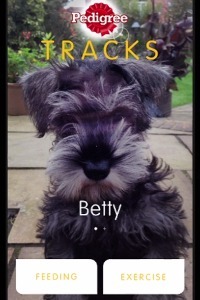 "It can be difficult for dog owners to portion food," he says, "Pedigree Tracks enables them to understand exactly how much they can feed their dog and how they can combine that with exercise." "Innovation is at the heart of Mars' culture and we're always looking to help [pet owners] take better care of their pets," he adds, noting that premiumisation and functional are the major trends driving pet food NPD. A sizeable marketing budget and array of leading pet brands enables Mars to stay front of mind and cater to different types of pet-loving consumers. 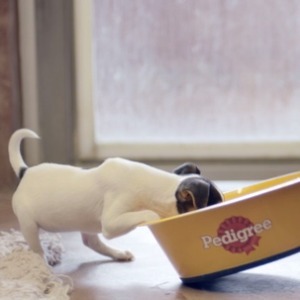 Mars Petcare, Lindley says, has been "more TV-based than other FMCG brands." On the digital front, Mars is looking to ride the crest of the wave that is the 'LOL cat' phenomenon, tapping into the appetite for funny animal videos online. "You only need to see how many people search for cats and dogs online to see people want to engage," he says. "It's about storytellng - they want to be entertained, advertising is moving forward." The rise of 'animal fails' has given Mars a "real opportunity", Lindley says. In March Mars Petcare teamed up with Buzzfeed to create a cat-themed online game to promote Whiskas Temptations. On Whiskas' own branded YouTube channel it also has an "epic cat fails" video, viewed almost 700,000 times. The video, however, comes with a sobering message at the end: that "not all cats have nine lives", highlighting the demise of the wild tiger population. The spot was created to raise awarenss of Whiskas' partnership with WWF to help double the global tiger population. Mars Petcare has been in partnership with the charity for three years and claims to have raised £900,000 for the charity in that time. "What's important to us is that this is a real cause, wild tigers are down to 3,200 and the WWF is looking to double this by 2022," Lindley says. "The idea that wild tigers could become extinct is not one we're willing to contemplate." The brand benefit is drawing a parallel between "little cats and big cats," he says. "It's great for us to let [pet owners] know that we have causes that are close to their hearts. It demonstrates Whiskas as a truly caring brand."